Done this thread most years for a while now, trying to track the progress of female racing drivers around the world. Will update as I get time. Going to have to wait another 3 years before we see what she can really do! Last edited by DOLOMITE on Tue Feb 05, 2019 12:48 am, edited 125 times in total. Do they have to be hot to be mentioned in this thread? thanks for that. I'd missed that she'd stepped up to GP3. P25-P11 in her 2nd race, despite not having raced there and having no pre-season testing - not bad! What is it with Switzerland by the way? Natacha Gachnang as well although I've not included here yet as I'm not sure what she's up to this year. Kathering Legge is the third woman in Indycar currently. She's been really of the pace of other like-engined entrants, though. Not quite to the point of Milka Duno's frightening performances, but really not up to speed with the rest of the field. Speaking of Milka, she's terrorizing the ARCA series this year. And oo-la-la, the lovely Maryeve Dufault looks to be without a ride this year. I saw her run the Nationwide event at CGV in 2011, and I believe she was a regular in ARCA that season, as well. She's very nice, but when she talks about cars you just sort of go, "wait, what?" 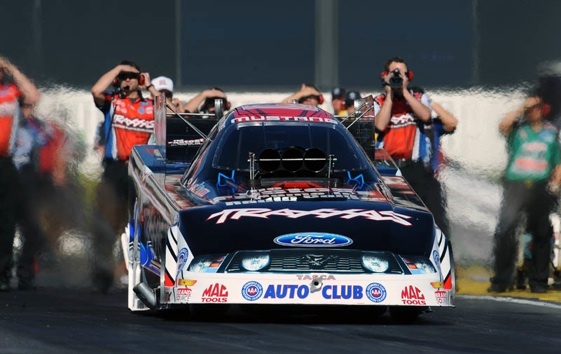 NHRA has a few women, my favorite being Courtney Force. is sis still racing as well? Girl has skills! She's beaten her dad before too! I found Carmen Jordá and Vicky Piria in GP3 as well. Pippa is spending all her available waking hours hunting for sponsorship to get back into IndyCars. She isn't racing anything else in the meantime unfortunately. Australian Rally Driver coming up through the ranks. Forgot about Johanna Long. Nineteen year old rookie running nearly the full schedule in Nationwide. She and D. Patrick are the only two women in the the top two NASCAR series that are competing regularly. Will have to do some googling, i thought Carmens career had stalled. ah thanks - she's done alright since I last checked up she was still in Karts! and getting the usual "she's only there because of her dads connections" type comments. Anyway, will add her to the list, thanks. Her career isn't exactly stellar but she is moving up, and indeed is in GP3 this year. a LOT easier on the eyes. Although it's fair to say none of the women here have exactly been bashed with the ugly stick, several have done or still do modelling. Can't hurt their commercial prospectes. Still got a few to add but please keep the suggestions coming. To say the least. When her European career had stalled and she went over to Indy Lights, she made Milka Duno look like a good driver. Jorda getting lapped was something that was going to happen every race, in the same way the main series always had an EJ Viso caused caution. All thirty three entries made the race-day field for the 2012 Indy 500. There were no bumps, and quali weekend was an awful bore. We all can thank Lotus-Judd for that situation. That is the most unintentionally funny website I've come across in a good while. Have you read the "Achievements" section? It's just one long list of excuses! That's not to mention the use of Formula 1 as a tab name for her wishlist and that under it she say she wants to make it on merit but then goes on to refer to a female driver in F1 as a 'novelty'. Oh, and they've spelt Anthony Hamilton's name wrong. Yeah but that Achivements thing is pretty standard for drivers websites where they haven't actually won much outright. Brundles often referred to Racing Drivers Book Of Excuses! To be fair she got to a pretty impressive level in karting. This thread though, for me effectively answers the "why aren't there any womenin F1" question. It's simple, F1 is the top of the motor sports ladder and there's no females winning the feeder series. GP3 has a few in this year, but based on their previos form I can't see any of them being top 5 by the ened of the season and therefore shouldn't move up the ladder to GP2. Guess we'll see. I know, but that's by far the worst one I've ever seen. I'd go even further and say the reason why no women are winning at the top levels (and therefore aren't going to get into F1) is because none of the ones currently trying are good enough. Take Pippa Mann, for example. She got two years in a credible F1 feeder series in Fr3.5, not driving bad machinery either, which was a great chance to show the teams what she could do - and what she did was naff all worth mentioning. I do have a feeling that Powell will luck into a lower end points position in GP3 sooner or later and the British media will wet themselves with excitement. But the F1 teams will be looking at the drivers who are actually competing up at the front. It's not that no woman can be good enough, it's that when you have so few girls karting with the boys aged 8 that the likelihood of a good one making it through the ranks is extremely slim. The amount of girls at this level does seem to be on the up in recent years but it's going to take close to a decade for the effects of that to be seen. And in terms of attractiveness... Maryeve. By a mile. Or a kilometer or whatever measure you choose. Nope. She's just wants to be a mother for now. I personally hope she replaces John Force one day. She has won in the past so I think she can keep that tradition going. NHRA has a lot of women these days. Hillary Will (Top Fuel, 1 career win), Melanie Troxel (Top Fuel: 4 wins, Funny Car: 1 win), Alexis DeJoria, (Funny Car rookie, daughter of John Paul DeJoria, the guy who owns Paul Mitchell and Patron Tequila), Erica Enders (Pro Stock), and several more in Pro Stock Motorcycle. I thought that too but when they stand next to each other they don't really look all that much alike. She talks just like him, though. Thanks for reminding me about Pippa though, will add her. She was due to join the i1 Super Series, but that's been put back a year. Last edited by DOLOMITE on Thu May 24, 2012 12:00 am, edited 1 time in total. ...in terms of attractiveness... Maryeve. By a mile. You're grasping at straws. Maryeve Dufault > everyone else posted to this point. The GP3 girls line up.